A lot of great things are one-size-fits-all: wristwatches, bike helmets, sweatpants… but when it comes to dentistry, that idea just doesn’t apply. Dr. Weil and Dr. Koo, your Houston oral surgeons at Piney Point Oral and Maxillofacial Surgery, know that each mouth is unique. We work to get to know you and your one-of-a-kind dental needs in preparing your mouth for treatment — and when it’s time to get prepared for your dentures, we want you to know you’re in caring, capable hands. Read on to learn more about pre-prosthetic oral surgery in Houston. Dentures fit right onto the bone ridge in your mouth, and that means we need to do a little preparation work before we can put them on. That’s what pre-prosthetic oral surgery is: the mouth prep before your partial or complete dentures are placed. When you undergo the surgery before your dentures, you’re able to enjoy a better fit and greater comfort overall. Smoothing or reshaping the bone: When your teeth are removed to make room for the dentures, your jawbone can be affected. In order to have a smooth, stable base for your new replacement teeth, a procedure we call alveoloplasty may be necessary. That just means we reshape the structures that support the teeth to help them better support the denture. Removing extra bone. If you have so much jawbone that it prevents the denture from fitting well, it may be best to remove it for an excellent seal. Removing excess gum tissue. Just like with the bone, too much gum tissue can also interfere with the proper fit of dentures. A laser treatment may be performed over several visits to ensure proper gum healing. 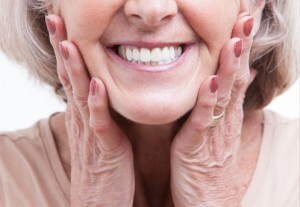 Our patients who choose pre-prosthetic oral surgery before their partial or complete dentures consistently confirm what we already know — it’s an important step for the most comfortable, best fitting denture possible. Pre-prosthetic oral surgery can help patients who currently have dentures and need a refitting, or those who are preparing for their very first denture placement. Wherever you are in your denture treatment, know that the initial stages are necessary for maximum success — and Dr. Weil and Dr. Koo are on board to help with pre-prosthetic oral surgery. Call Piney Point Oral and Maxillofacial Surgery today to find out how pre-prosthetic oral surgery in 77063 can help you prepare for your partial or complete dentures in Houston. We’re proud to serve patients from throughout Houston and the surrounding areas, including Bellaire, Stafford, Hunters Creek Village, Galleria, Katy, Sugarland, Heights, Memorial, Spring Branch, and beyond. by: Dr. Steve Koo at October 19, 2015 .